Hang and attach objects with ease. Tombow Xtreme Adhesive Tabs are extra strong, creating an instant bond that only becomes stronger as they cure for 24 hours. 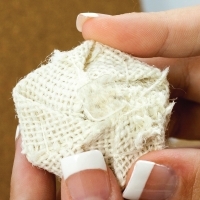 They're perfect for home décor, craft projects, and school projects. 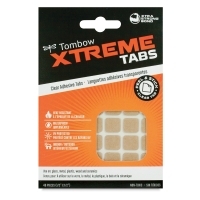 Xtreme Adhesive Tabs are non-toxic and can attach to most metals, plastics, glass, and ceramics. They have a holding capacity of 6.4 oz. They're also heat resistant, UV protected, and waterproof, so they're great for both indoor and outdoor projects. Each pack contains 48, 1/2" square tabs. Shipping Note — Due to manufacturer distribution restrictions, Tombow products cannot be shipped to addresses outside of the United States and territories. ® Tombow is a registered trademark.